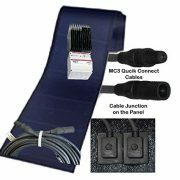 136 Watt Solar Battery Charger Kit for 12V or 24v batteries. Includes all major components. Ease of installation Peel and Stick, Install on a fixed surface or carry it around. 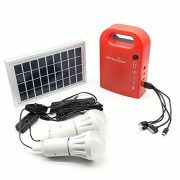 Designed for RVs, cabins, homes, boats, back-up and remote power use and more! 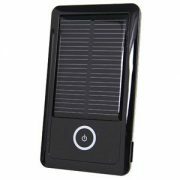 Fast Charging Technology: delivers the fastest possible charging speed up to 2.8 amps per port or 3.5 amps overall under direct sunlight. 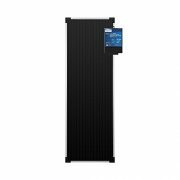 21 watt SunPower solar array is 23% efficient, providing enough power to charge two devices simultaneously. 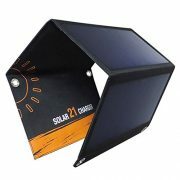 Highly Portable: Compact size (11.4 × 6.7in folded or 27.5 × 11.5in opened) and stainless-steel eye-holes on each corner allow easy attachment to backpacks, trees, or tents. Lightweight (20 oz) and ultra-thin design (1.18in folded or 0.63in opened) make it ideal for long treks. 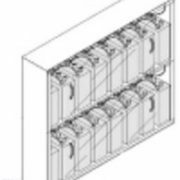 Complete battery charging solution for off grid applications. 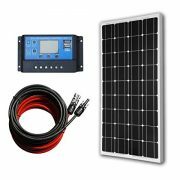 Complete battery charging solution for Off Grid Home. 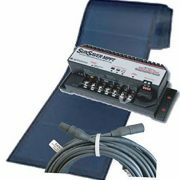 Complete battery charging solution for RV and Marine. 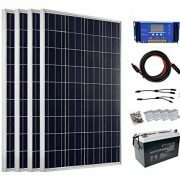 15 Watts Solar Panel could supply 80wh power a day ideally. 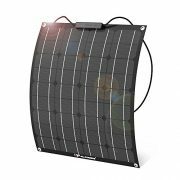 Reusable solar generator, solar charging, environmental protection and energy saving you can use it in anywhere when there is adequate sunshine. 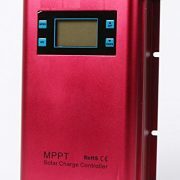 Equipped with usb charging cable(1 lines 4 heads), you can charge your electronic products easily with the built-in large capacity battery you can charge for mobile phones MP3 MP4 digital cameras and other electronic products. 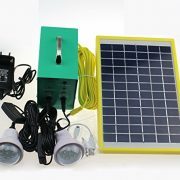 ★[Various Applications]: The Cowin Solar Lighting Kit is perfect for remote areas and places of low electrification. 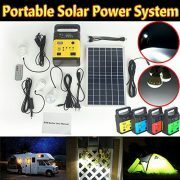 Can be used while camping, for outdoor events, and in farms. 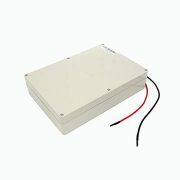 ★[LED Lamps]: Package includes 2 x 1W super bright LED lamps with 16.4 feet cables for each light. 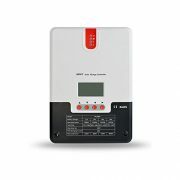 ★[Rechargeable Battery and Controller]: The Kit includes a 12V/4Ah SMF Lead-acid battery. 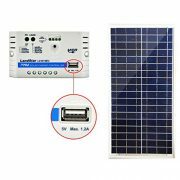 The battery is integrated into the system controller that allows power from solar panel to be converted into electricity to power system and lights. 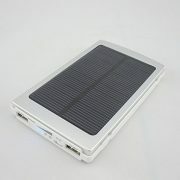 Battery can be charged via solar panel when sun is shining and can also be charged via AC adapter in times of low sunlight or during night time. 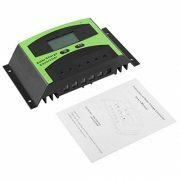 Informative black light LCD display , Double USB design, USB output ports provide the power supply of 5VDC/2.4A and have the short circuit protection. 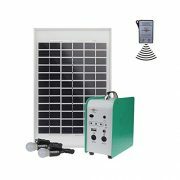 Solar Generator Portable Kit: A rechargeable battery solar generator system with solar panels, storage solar generator power to battery and supply power to LED light and mobile phone. Widely applicable to home, camping, rv. 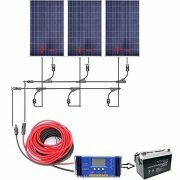 Multiple Outputs: 6 Watte 6V solar panel, 9AH 3.7V battery, 2 USB 5V DC Output for your tablets, iPhone, iPad, laptops, fans and TV charged up, or lights. 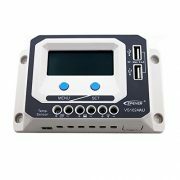 4 Ports 3.7 V output to LED light. Advance digital power supply technologies raise the circuits energy conversion efficiency to as high as 98%. 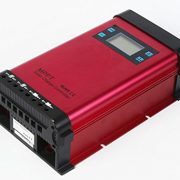 Charging program options are available for different types of batteries including gel batteries,sealed batteries,open batteries,lithium batteries,etc. 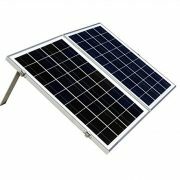 The battery can be used as replacement battery pack for Solar Power Generator. High rate discharge superior performance. Safe and eco-friendly. Long life cycle. 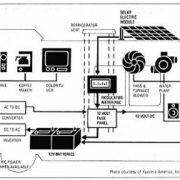 Basic component for 12V resident off-grid system. 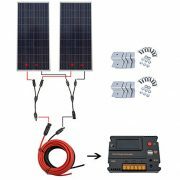 Multiple panels can be wired in series for 24v battery charging. 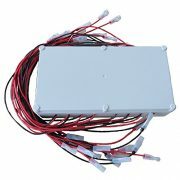 Designed for RVs, cabins, homes, boats, back-up and remote power use.